The lowest rank of ninja class, but of course only in the chain of command. 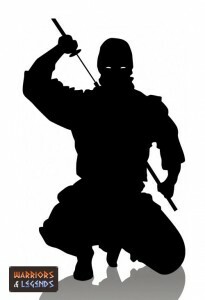 The Genin were highly trained ninjas, capable of feats of great stealth and espionage. Trained from childhood, the Genin were taught the ways of the Ninja, knowing one day they might be called to action. Whether called to perform an assassination, garner information or research, the Genin were more than capable of dropping the chores of their daily life to spring into action. The Genin in their daily life however typically filled traditional roles in the community. Farmers, teachers, or tradesmen, the Genin would even take roles in enemy territory, performing espionage from the inside of their foes land. A ninja warrior who throughout his lifetime might move between the ranks and classes of the shinobi. The Chunin was the middle man in the system, the go-between from the Jonin to the Genin. While the Jonin made the necessary decisions to protect the community, the Chunin was the contact the Jonin went too. Once the Chunin was briefed on the mission they would go to the grass roots level assigning the mission to a suitable Genin. The highest of the Ninja warrior ranks and classes, the Jonin was at the top of the ninja food chain. The role of the Jonin was essentially that of a clan or family leader, they were in charge of the big decisions that needed to be made. The Jonin acted on behalf of the community, deciding what action needed to be taken, how it should be taken, and what the implications and the overall effects these actions would have. The Ninja classes and ranks enabled the ninja to effectively separate their work, the Jonin did the thinking, the Chunin would assign the job, and the Genin unencumbered from thinking was able to simply carry out the task using their years of training. The safeguard of this chain of command also offered the ninjas security should the Genin fail at their assigned mission.